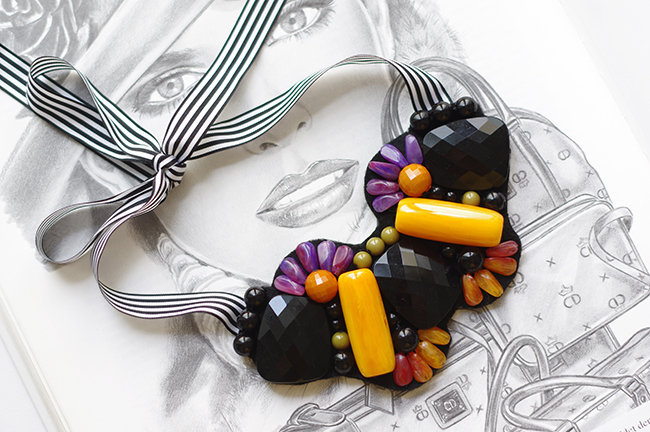 This is what I call a STATEMENT necklace! 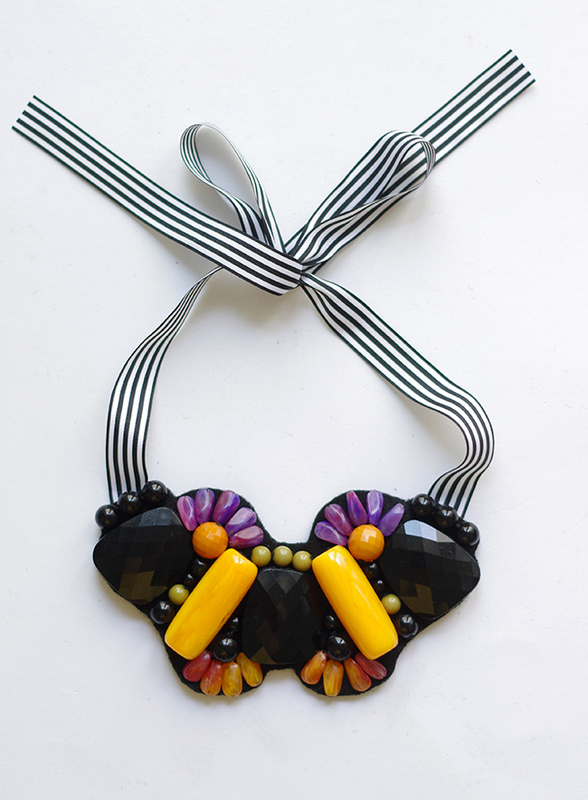 Inspired by the Marni SS14 accessory collection this statement piece is trendy, unique and pretty easy on the pocket. And since I’ve recycled some old necklaces this accessory is also sustainable. Some of the beads I used were “wasted” in my atelier for over 10 years. 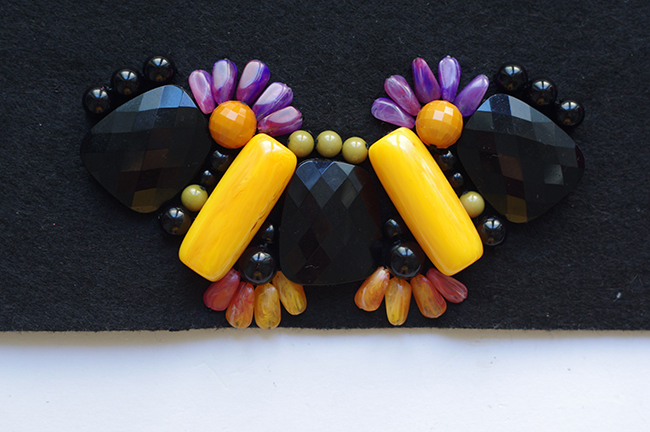 Surely you can buy new gems for this project but I encourage/dare you to use only embellishment you already have. Beads, crystals, buttons, spikes, chains- everything works! Cut a piece of felt and mark the center with pencil. 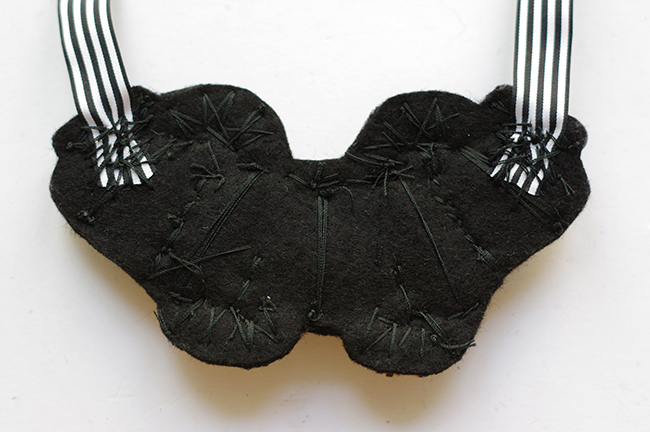 Place and sew the bigger (main) elements onto the felt “body” so they built an oval shape to fit your neck. 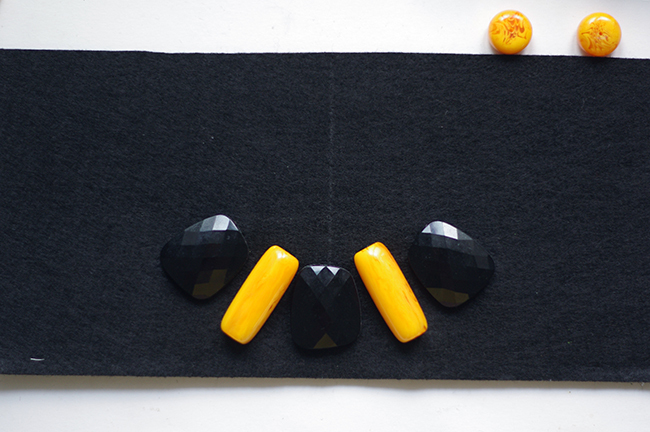 The pencil line will help you to make your necklace symmetrical. 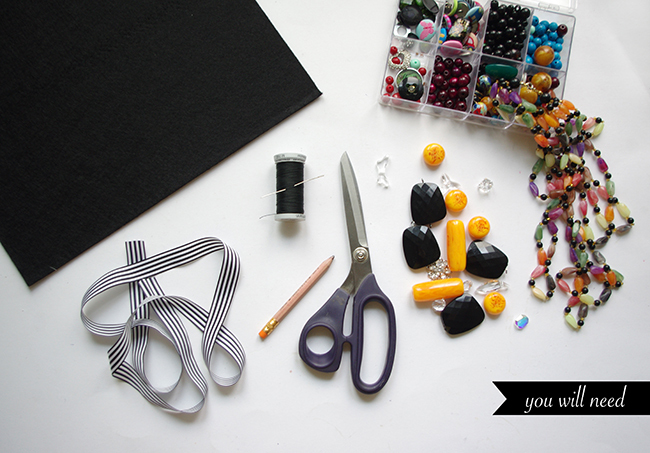 Once you’ve secured the bigger elements start to feel the gaps with smaller beads. There is no real tutorial for that, since you will probably use different from mine beads. Look up for ideas on the Pinterest, play around with your elements and colors. Once you have found your ideal design make a picture with your phone for reference and start sewing the gems onto the felt “body”. 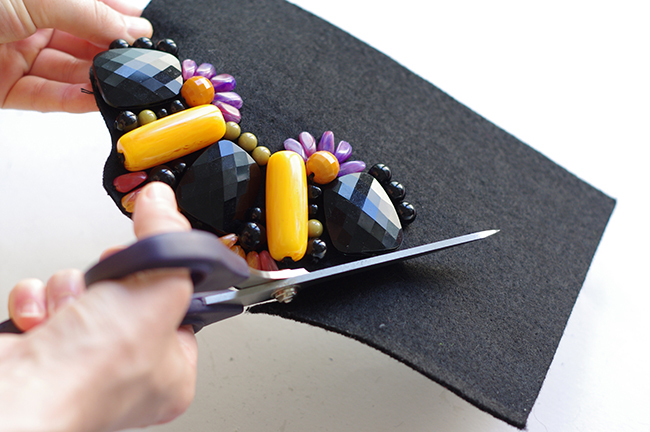 After you’ve finished the beadwork cut out the necklace accurately. Cut two long (ca. 25 cm/10″) ribbons. 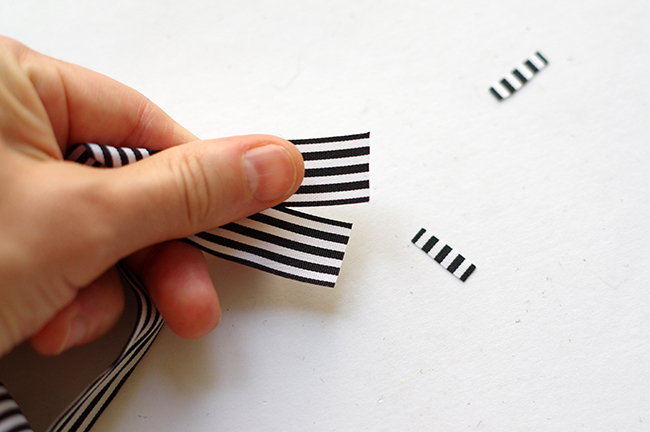 To avoid the fraying of the ends apply a thin line of nail hardener to the ribbon ends. Attach the ribbons to the back of the necklace. 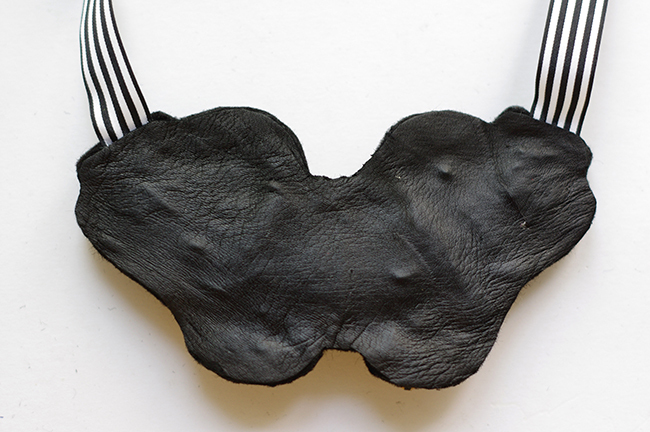 Glue a thin faux leather lining to the back to make the necklace perfect. This step is optional.